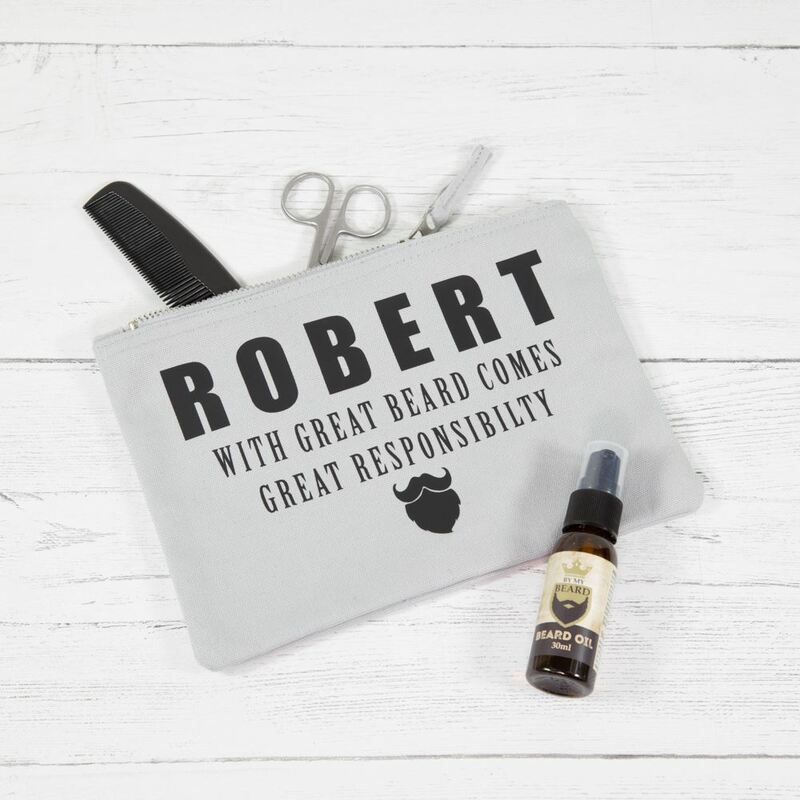 If you or your man loves his beard, this beard grooming bag makes the perfect gift. 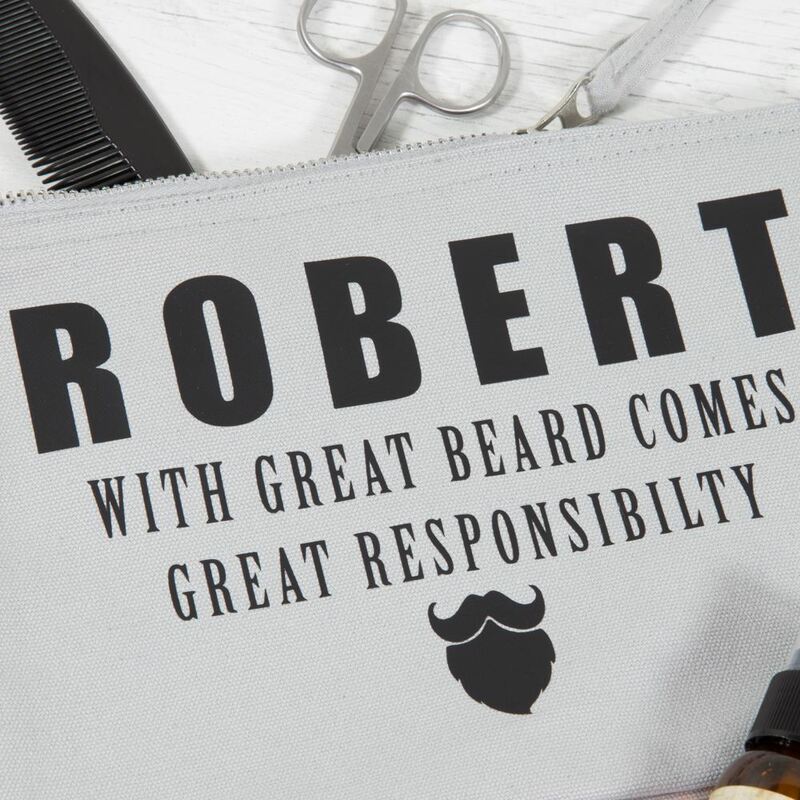 Keep your beard trimmer, beard wax, oils and shaving tools in this neat bag. 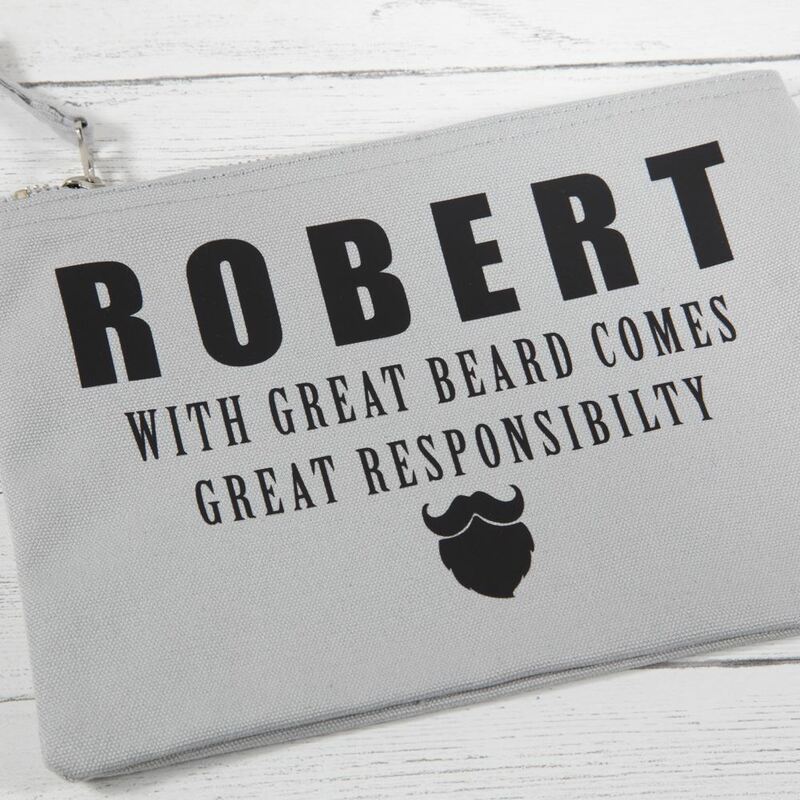 The bag comes personalised with the owners name and the slogan "with great beard comes great responsibility". It's the perfect size for keeping all those accessories needed to create the perfect beard! 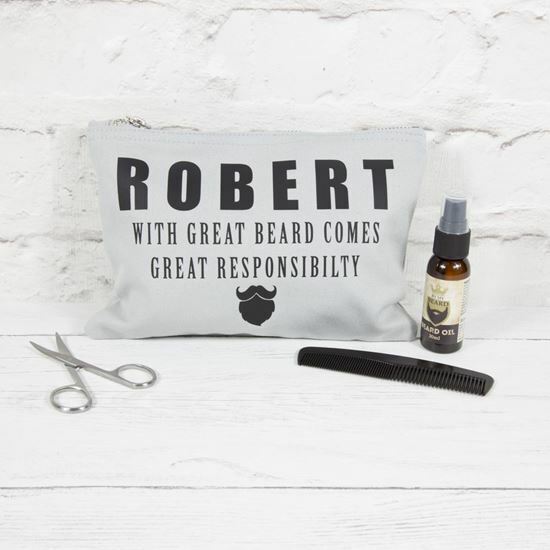 PLEASE ENTER THE NAME OF THE RECIPIENT IN THE COMMENTS BOX WHEN YOU ORDER.